I made a fun little treat! 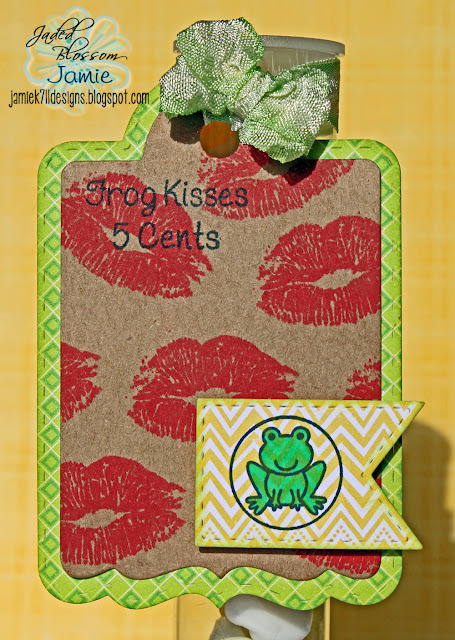 I found these frog gummies and knew I had to use the frog kisses stamp with them. Here's a close up of the tag. I used the lips from Happy Mail on the kraft paper. 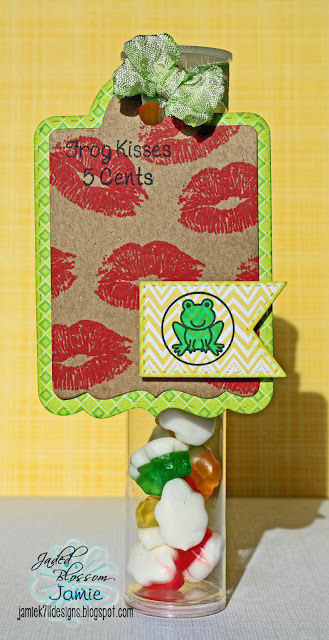 Jaded Blossom- 100% Princess, Royal Candies, Funny Mail, Treat Tag Die, Candy Charms & Banner Dies and 1x6 Tube. Love this little treat. Super cute. Where did you find the frog gummies at?